Design professionals of every discipline – architects, product and graphic designers – are confessing to certain difficulties in common: to transform their knowledge and understanding of the ecological, economic, technological and aesthetic parameters of an enduring contemporary design into the practice of their professions. It is a sentiment echoed by decision-makers in the construction field and other industries. 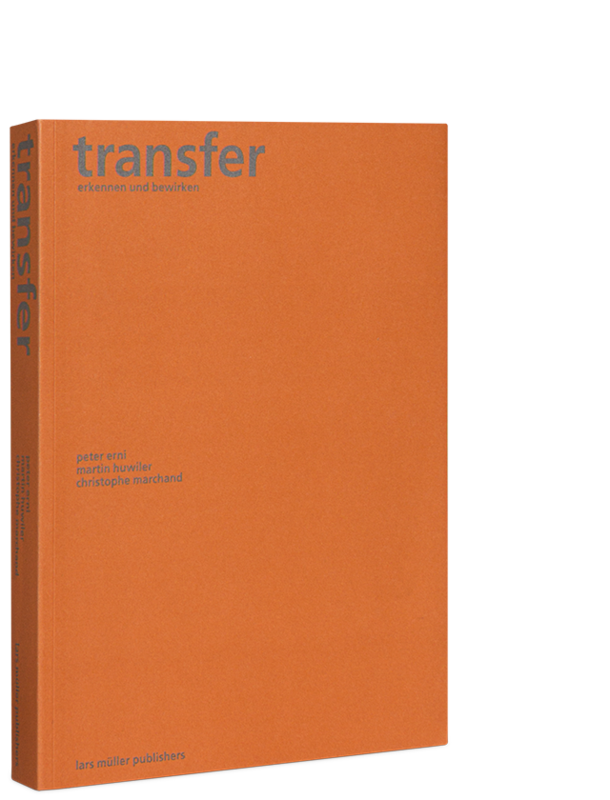 The authors of Transfer present a collection of documentary illustrations and quotations which is both rigorous and stimulating in composition and structure. They have devised a method of making the critical factors of innovative design vividly immediate and usable in practice. transfer=convey: To transfer means to put across. This book offers its audience some approaches to a “grammar of ecology,” conceiving itself as a mean to an end.